This post has been updated with a revised schedule for deployment of French carrier Charles de Gaulle. 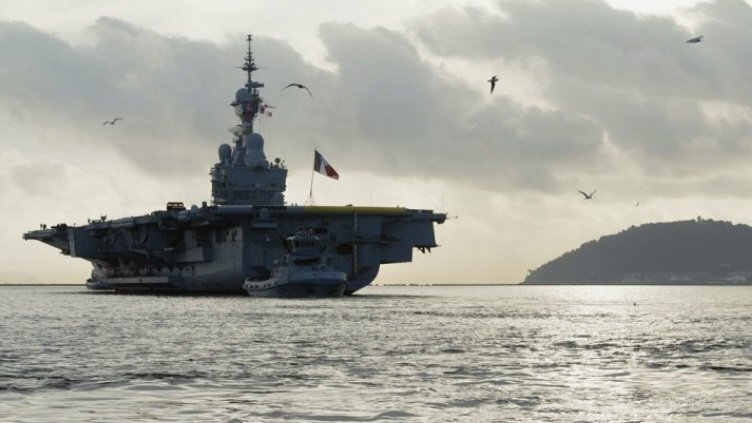 France is sending its nuclear aircraft carrier to the Middle East on Thursday for its second deployment this year against the combined forces of Islamic State in Iraq and Syria, president François Hollande told the French parliament during an emergency Monday meeting. The deployment of Charles de Gaulle (R91) was planned before the ISIS-claimed terror attack in Paris on Friday and will buttress the U.S.-led Operation Inherent Resolve currently conducting airstrikes against targets in Syria and Iraq. The carrier’s deployment “is going to triple our military power [as part of the operation against the Islamic State],” Hollande said. The West hasn’t had an aircraft carrier in the region since USS Theodore Roosevelt (CVN-71) left last month and its replacement — departing Monday from the East Coast — USS Harry S. Truman (CVN-75) isn’t due to arrive to continue the anti-ISIS strikes until next month. In its last deployment, de Gaulle focused primarily on targets in Iraq and seldom struck ISIS installations in Syria. However, following the Friday attacks in the French capital, France conducted a self-described “massive” strike against ISIS targets in Syria. In its two-month deployment — as part of the French anti-ISIS Opération Chammal — the carrier launched an average of 10 to 15 sorties a day with its complement of about 20 strike aircraft — a mix of Dassault Rafale M aircraft and Dassault Super Etendard Modernisé (SEM), according to a report from the RFI news agency. “During the seven weeks that Charles de Gaulle last took part in the operation (in the wake of the Charlie Hebdo attacks) its aircraft launched around 200 sorties,” according to a report last week in Jane’s Defence Weekly. For its Sunday strikes, France used fighters based at ground bases in Jordan and the United Arab Emirates (UAE). The carrier recently completed training workups in the Mediterranean Sea near its homeport in Toulon ahead of the deployment.